Fairfield Rotary Club donates books and dictionaries to aid literacy. Hamilton schools recently got a boost when they each received a donation of brand new school books from the Rotary Club of Fairfield. For many years the Fairfield Rotary Club has donated dictionaries to year 6 students at a number of local schools as part of the club’s ‘Literacy Outreach Programme’. This year the club extended their programme to include a donation of approximately 150 – 300 brand new reading books to a number of primary schools in the Hamilton and greater Waikato area. Fairfield Rotary Club president Michael Cahill, said it was important to make a contribution that benefits literacy and education. “This is one of the many community based projects that our Rotary Club has undertaken this year as we fully embraced the 2014-15 rotary theme, to 'Light Up Rotary'. Literacy is one of the main focuses of Rotary International and we are hoping to light up children's lives by donating these books to their schools'. The books can be used for everyday reading activities and some books will be used by the children at home he said. ‘We were given a wonderful opportunity to acquire a very large container load of brand new books, and decided to share them amongst the schools of Hamilton and the wider Waikato. prior to distribution to local schools. Lisa Deane, the Principal of Fairfield Primary school wrote to the club to say, ‘Just wanted to take the opportunity to thank you and Rotary again for the most generous donation of books – it has allowed us to put an extra 25 sets of readers into our reading room. We tallied up the cost of having to purchase these books ourselves, and we would have been looking at well over $2000.00’. Schools in the pacific islands have also benefitted from the clubs extended programme with a number of boxes each being sent to schools in Papua New Guinea, Fiji (Taveuni) and Rarotonga. Special thanks go to the Vincent de Paul Society in Hamilton, for their help in providing the container space to get the books to PNG. A number of other local organisations have also benefitted, such as, the Children’s Ward at Waikato Hospital, Rainbow Place Children’s Hospice and the Women’s Refuge in Hamilton. 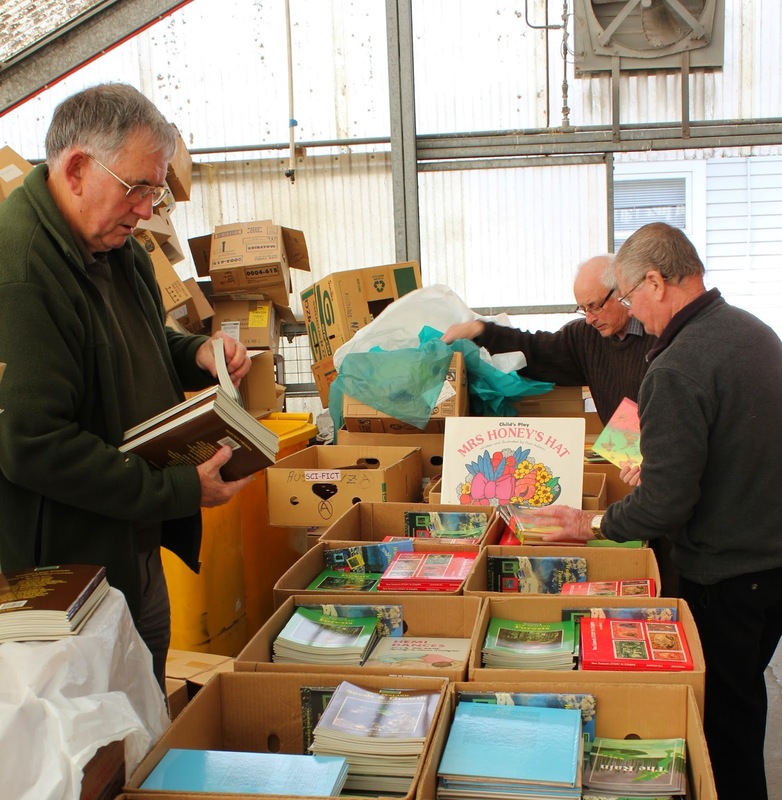 Fairfield Rotary Club members are now busy sorting the remaining stock, before making arrangements for more deliveries to local schools in 2015.